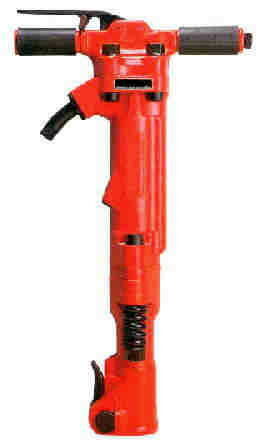 Pneumatic Jackhammer, Pavement breaker in the 60-90lb class. 3/4" air hose coupling, 1 1/8" tool steel. Tool steel, points,chisels, asphalt cutting or digging spades rented separately. * Please call us for any questions on our aircomp 60 90lb breaker rentals in Portland OR, Gresham OR, Milwaukee OR, and surrounding metro area.